Performances in Times Square in New York City and a large portion of downtown Los Angeles will punctuate New Year’s Eve, with a high number of revelers expected despite the cold temperatures. 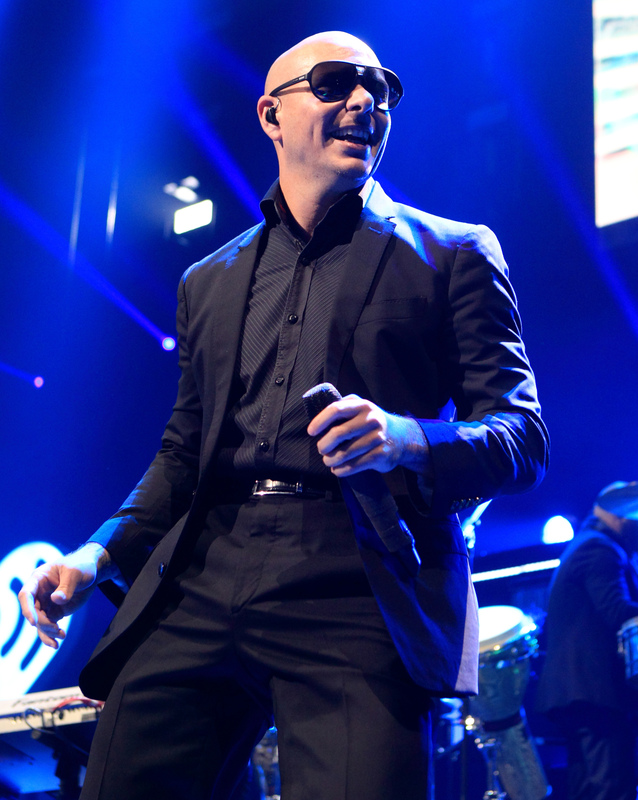 Pitbull is also hosting a party in Miami. 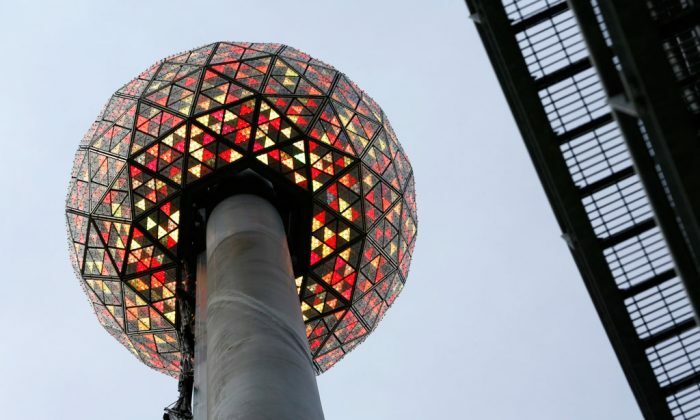 Times Square will start receiving people at 3 p.m., with the lighting and the raising of the New Year’s Eve Ball set for 6 p.m. The musical performances will kick off at 8 p.m. with O.A.R. performing two of their songs. The television broadcast begins at this time on ABC. Idina Menzel will perform at 8:26 p.m., followed shortly by the USO Show Troupe at 8:46 p.m.
After other portions of the evening, including a toast, American Authors will perform at 9:14 p.m. Magic! will perform at 9:32 p.m.
Jencarlos Canela will perform a special version of New York, New York at 10:01 p.m., while Florida Georgia Line will take the stage at 10:37 p.m., followed at approximately 10:49 p.m. by Va Por Ti and 11:02 p.m. by Alejandra Guzmán. Taylor Swift will come on stage at approximately 11:39 p.m.
O.A.R. will return at 11:51 p.m., performing just up to the countdown. Other performances will continue through about 2:15 a.m.
NBC will air “A Toast to 2014” from 8 p.m. to 10 p.m., followed by a New York City broadcast. The broadcast starts at 10 p.m. and will air for about an hour. Performers include Tony Bennett, Lady Gaga, Seth MacFarlane, Blake Shelton, Gwen Stefani, and Pharrell Williams. As for Los Angeles, the celebration will take place between Grand Ave. and Main St., and between Temple St. and 2nd St. The four gates will open at 7 p.m. Organizers told the Los Angeles Times they expect around 30,000 people, but have the capacity for 50,000 people. The area, known as Grand Park, will feature three stages. The Countdown Stage will feature Mr. Little Jeans at 8:30 p.m., Made in Heights at 9:30 p.m., and Breakestra at 11:15 p.m.
After the midnight celebration, Breakestra will come back on at 12:05 a.m. for about half-an-hour. On the Low Down Stage, Omid Walizadeh will perform at 7 p.m. and 9 p.m., sandwiched around Run River North. Ceci Bastida will come on at 9:30 p.m., followed by Omid again at 10:30 p.m. Dorothy will take the stage at 11:05 p.m. After the midnight celebration, Dorothy will come back on at 12:05 a.m. for about half-an-hour. On the Get Down Stage, which features LA’s favorite DJs, Chris Douridas will start at 7 p.m., followed by Aaron Byrd at 8:30 p.m. and Garth Trinidad at 10:30 p.m. After the midnight celebration, Trinidad will return at 12:05 a.m.
Another option for partygoers is to tune into Pitbull’s New Year’s Eve special, which is broadcasting live on FOX from his hometown of Miami. Pitbull says the celebration will compete with New York City, and has advantages. “First of all, you’re not freezing, so you don’t have to fall out in order to put your hands up and dance. It’s definitely a different vibe,” he told Rolling Stone. The celebration will kick off at 8 p.m. and air through 10 p.m. It will start airing again at 11 p.m., and go through 12:30 a.m. on Thursday. Performers include Enrique Iglesias, Fall Out Boy, the Band Perry, Fifth Harmony, and Becky G. The time slots for the performers hasn’t been announced, although Pitbull will be performing at midnight.